A relaxing day to enjoy the beauty of the most famous beach in Rio de Janeiro: Copacabana. 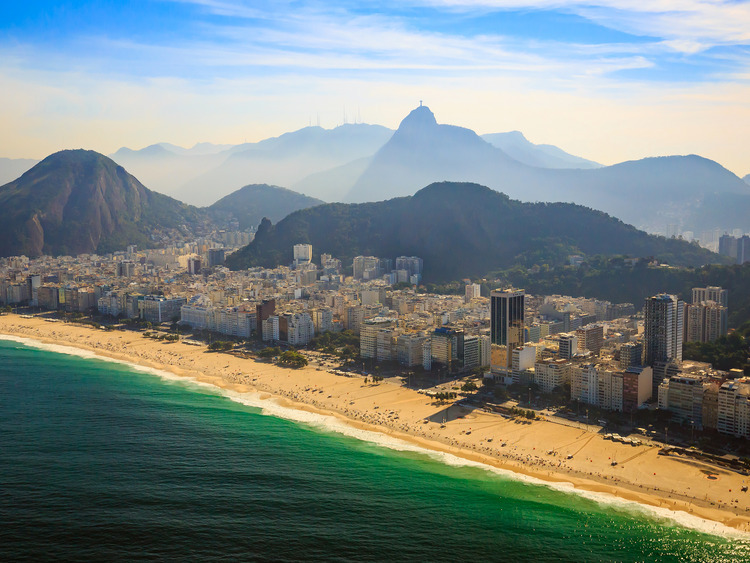 The transfer starts with a sightseeing tour of the Flamengo and Botafogo neighbourhoods until we reach our destination - Copacabana beach, one of the most beautiful and popular in Rio de Janeiro. We take advantage of our free time to do whatever we want - swim in the sea, stroll along the 6-km beach, take a few pictures and much more. For lunch, we can decide whether to stop in a typical Brazilian restaurant or in one of the many restaurants in the area. We can then relax some more before heading back to the port in the afternoon. The excursion includes the transfer (to and from the beach), a guide during the coach ride.